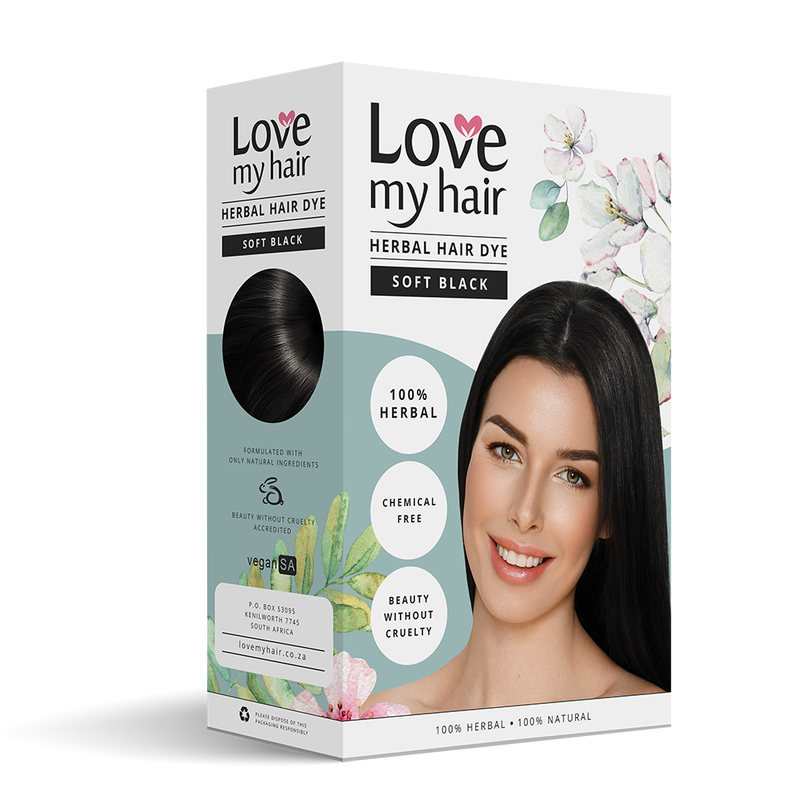 Soft black not only colours your hair, but also contains botanical extracts chosen to improve hair growth and scalp condition, and can help in clearing up problems such as dandruff, itchiness and hair loss. This dye is perfect for people who are not grey yet or who are less than 50% grey. It also makes a great mix for the Herbal Dark Brown dye. This shade contains a high percentage of indigo. On some grey hair types it gives the desired gentle black colour and on other types it can make grey hair a greeny/blue colour. You can experiment with mixing Herbal Soft Black with Herbal Dark brown as this combination can work well for covering grey. 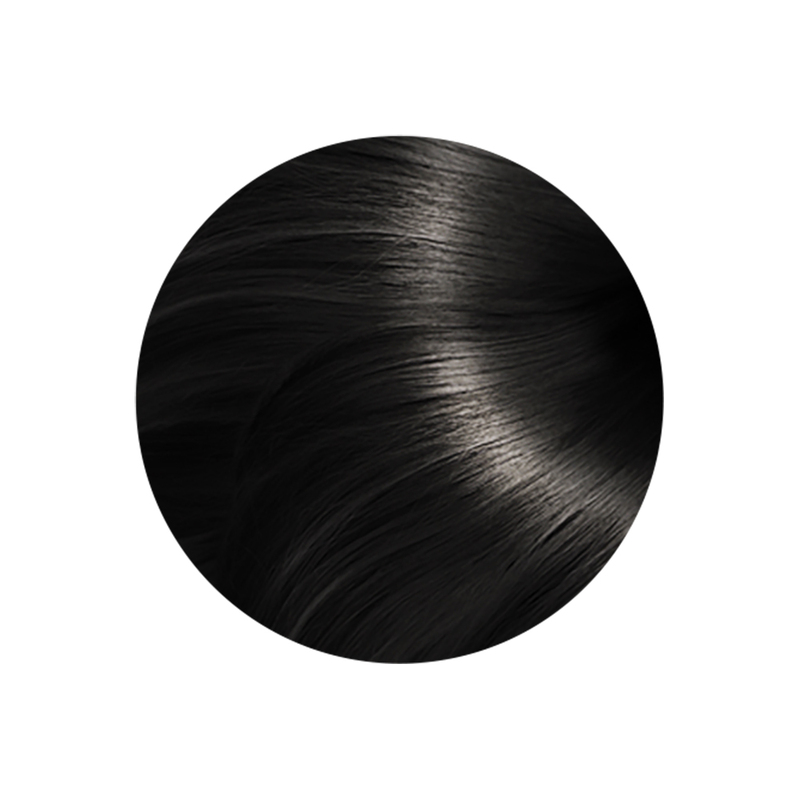 You can also mix Herbal Soft Black with Low Chemical Black or Low Chemical Dark Brown. For more tips on covering grey see Helpful Hints. As the Soft Black shade contains such a high percentage of indigo, please see the Indigo page for tips on colour coverage, and also the Directions for use page for general information. 100 grams is enough to dye collar to shoulder length hair, depending on hair thickness. You can mix up half a packet if you just want to dye your roots.